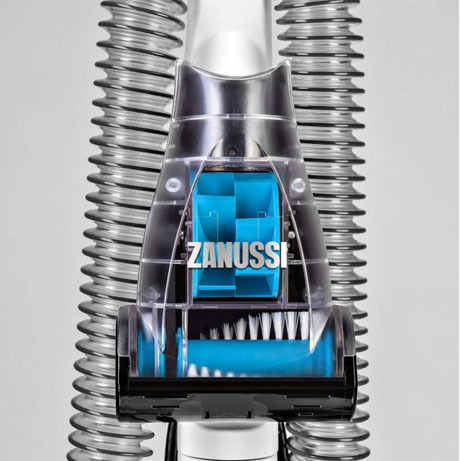 This Zanussi Vacuum Cleaner is packed with innovative multi cyclonic technology. This cleaner ensures constant powerful suction and is suitable for allergy sufferers and pet owners. 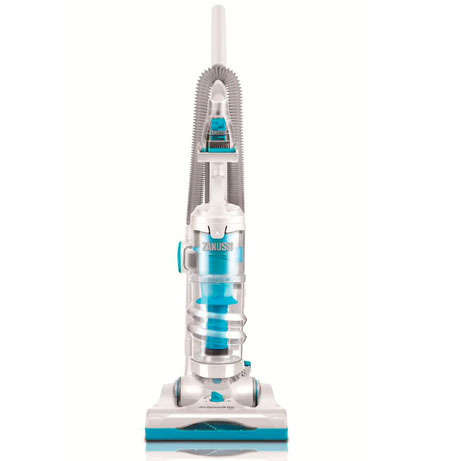 Weighing only 4.5kg this vacuum offers both power and versatility when needed. Furthermore, the filters are easy to remove, clean and replace. Its multi cyclonic technology ensures its filters don’t get clogged which means higher power for longer. 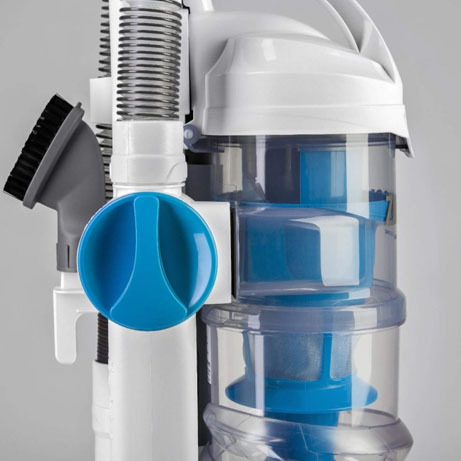 This vacuum is packed with innovation in multi cyclonic technology that separates dirt and dust from the air path so your filters don’t get clogged. This ensures powerful constant suction. Hard to reach areas are a breeze thanks to the 2.4 M stretch hose – especially when combined with the crevice tool attachment or dusting brush for those tricky cleaning areas in your home. This vacuum also comes with an extension tube and a 9 metre cord. This Zanussi is lightweight and comes with B rating for carpet performance and B Rating for Energy Efficiency. The large 2 L dust bin is quick to access, empty and clean and due to its size you won’t need to empty it as often. In addition the filters are easy to remove, clean and put back in place. This Zanussi comes with a B rating for carpet dust pick up and a B rating for energy efficiency. It can be used anywhere in the home as it is suitable for both hard floor and carpet. Hard to reach areas are a breeze thanks to the on board extension tubes – especially when combined with the crevice tool attachment or dusting brush for those tricky cleaning areas in your home. With the pet turbo nozzle, this is ideal for removing pet hairs and stubborn fibres from carpets, stairs and upholstery. It makes cleaning so much easier.